As many people using the YouTube platform are often ignorant of this feature of translation for titles and description and YouTube keyboard shortcut. As there are ways of transcribing YouTube videos. If you have been so observant you will definitely notice that the speech recognition software feature has improved, you can now get some automatic transcription which can be easily edited without much effort. Transcribing YouTube videos is not a very tedious act as most videos are automatically transcribes immediately they are being uploaded to YouTube. In this post I will basically show you three methods to transcribe YouTube free of charge. Note: it's not that possible to get a machine to offer a perfect transcript of any audio file. The accuracy will be based on the noise and disturbance in the video. For instance, if it is a very calm event like receiving lecture in a very calm class, then the possibility of getting a good transcript with range between 80% accuracy. It is of note that most YouTube videos are most transcribed automatically using Google’s Speech Recognition technology. There is also a possibility that the owner of the video may have transcribed the video personally and present it to the readers. Whatever the case may be, just note that you can easily access the transcript and also copy it alongside with the timestamps and below are the procedures involve in this act. >>1. Firstly, start by clicking on the More button just below the video and select Transcript from the menu presented. >>2. You will see an option below asking you to select a language. Ensure to make the right choice and view full transcript along with timestamps. >>3. Next, click and drag to highlight all the text and press Ctrl + C to copy the text. Simply paste the copied text anywhere you like and your transcript will be ready. YouTube normally highlights words that it might have picked wrongly automatically and this makes it easy to edit the transcript. Simply click on the CC button inside the YouTube player to grant you access to enable subtitles and the subtitles will prompt in white. Notwithstanding the subtitles will appear in gray color indicating that it might be the one with the mistake and for easy amendment of the transcription. But bear it at the back of your mind that the subtitles of uploaded videos by the owner will not have gray words as mentioned earlier. In case you need more functionality for more control and most efficient structure of the video transcript, then you can also get some assistant from some third-party agents. There are many web platforms in which you can paste the YouTube video URL to get the video full transcript. I will propose to you a web platform known as DIYCaptions and the reason for recommending this third-party app is that it is very easy to use and is not prone to redirects and pop-ups that can be so annoying to the visitant. The third-party app also has two types of transcript extractors which are transcript to text format and transcript to .srt format alongside with timestamps. What to do, is just paste the video URL in the provided text of your required extractor and click on Go. The transcript will be appearing in the next page which you can copy and paste into your desired editor to suite your taste. DIYCaptions also offers you the option to directly download the preferred format. And this you will find in the Transcription Pad on the DIYCaptions home page. Just type in the YouTube video’s URL and click on Go. In the next page there are buttons to playback the video, watch it side-by-side to the text editor, view or download transcripts of the video. 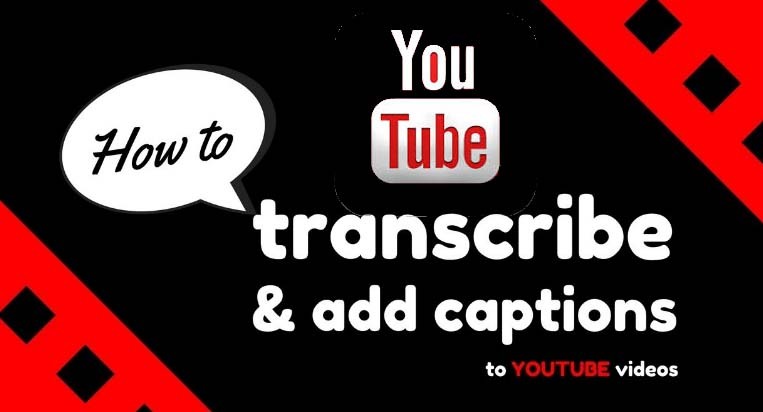 The previous method works perfect when the owner uploaded transcript of the YouTube video is present but in the case whereby you may want to transcribe a video without transcript present, then in this instance the next option to use is the Google Doc’s built-in voice typing feature to listen to the video audio and automatically type all required items. In order to have a good quality transcript, it is recommended to make the PC directly listen to the audio coming out of its speakers. For you to have a good quality transcript, it is most recommended to let the PC listen to the audio directly from the speaker. And below is the procedure to do that. >>1. Right inside the Windows, right-click on the sound icon in the taskbar and select Recording devices. >>2. Next, proceed to select “Stereo Mix” from the list and click “Set Default” to set it as default source of recording. If in the process you found out that the Stereo Mix is not supported by your PC, you can simply download and install VB Virtual Audio Cable tool to be able to get some alternative option in same menu. After the installation of the drivers’ tool, you would be able to view a “Cable Output” option in the same sound options. Select this option and then click ”Set Default“. After this, your PC will listen to the audio coming out of the speakers for recording purposes. Now you just need to start Google Docs Voice typing and the required video simultaneously to start the transcription. Haven undergone the process of installation your PC will be able to listen to audio directly from the speakers for the sake of recording. Now you just need to run the Google Docs Voice typing and the wanted video will start transcription simultaneously and below is the procedure on how that is done. >>1. Simply Open Google Docs in Chrome or any other Chromium based browsers (Voice Typing isn’t supported in non-Chromium browsers). >>2. Also proceed by creating a new document and select “Voice typing” from the Tools menu on top. >>3. A tiny box prompt with a microphone icon in the middle of it. Click on it to start recording. >>4. Simply proceed to the YouTube video tab and play the video. When people speak in the YouTube Video it will be entered automatically into the Google Docs. The process will take some stipulated time pending on the video duration but nevertheless it will produce a good quality transcript of the video. Also the Google Docs Voice typing support for over 40 languages, you can click on your desired language in Voice typing box menu to change the language. This will produce a transcript just like the YouTube’s own automatic captioning service as it usually used in Speech Recognition technology. 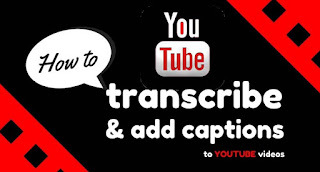 Are you yet to understand how to automatically transcribe YouTube Videos after going through the above tutorial? May be lots of questions regarding how to transcribe YouTube videos has been entering your mind and some of those questions are similar to the ones listed below. Then you have no worries as you can watch the full tutorial on how to get this particular YouTube feature work out for your through below provided YouTube video tutorial. How do I get YouTube to transcribe my video? Can I get a transcript of a YouTube video? How do I create a transcript from a video? What does it mean to transcribe a video? How do I add closed captions to my video? What is Google speech to text? How do you voice type on Google Docs? How do I download subtitles from Youtube? How do you add a transcript to youtube video? How do you add captions to youtube videos? How do I add subtitles to a youtube video? Hope this tips was helpful? Now help others know it by using the share buttons below.